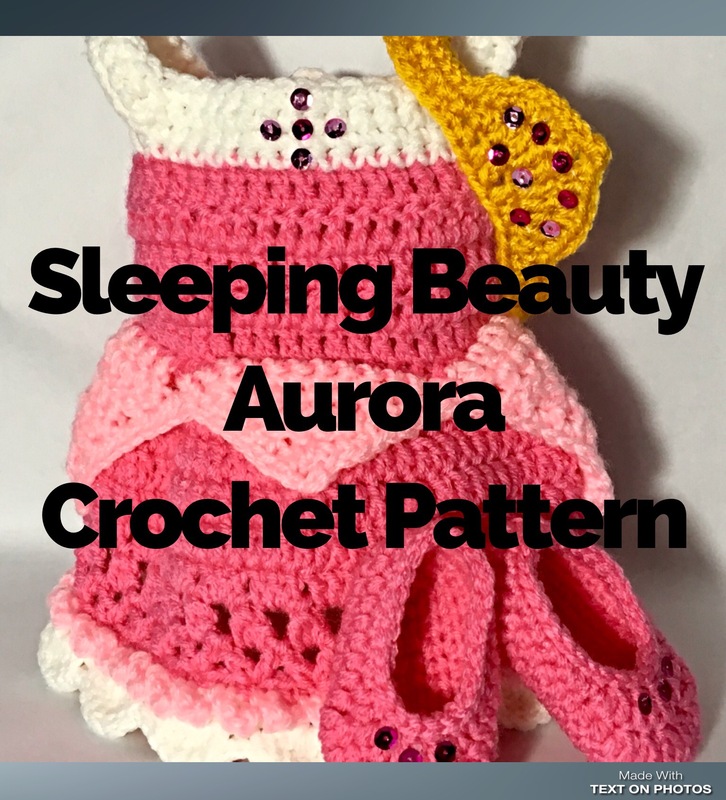 Crochet is not a quick craft. It doesn’t matter how long you’ve been doing it, or how fast you can work. 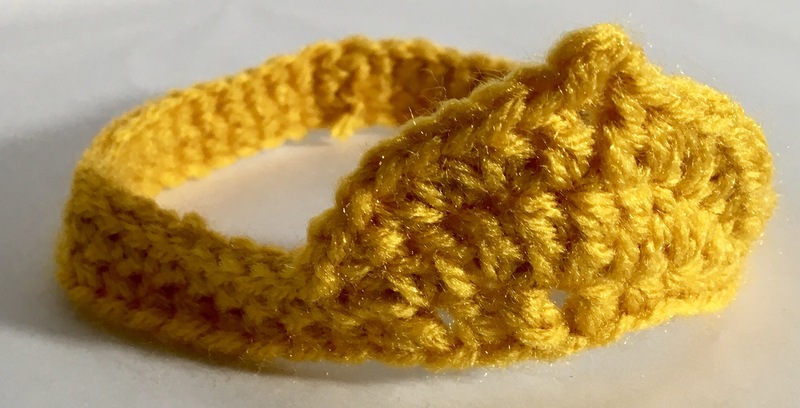 It’s still gonna require a sizeable investment of time to crochet something. 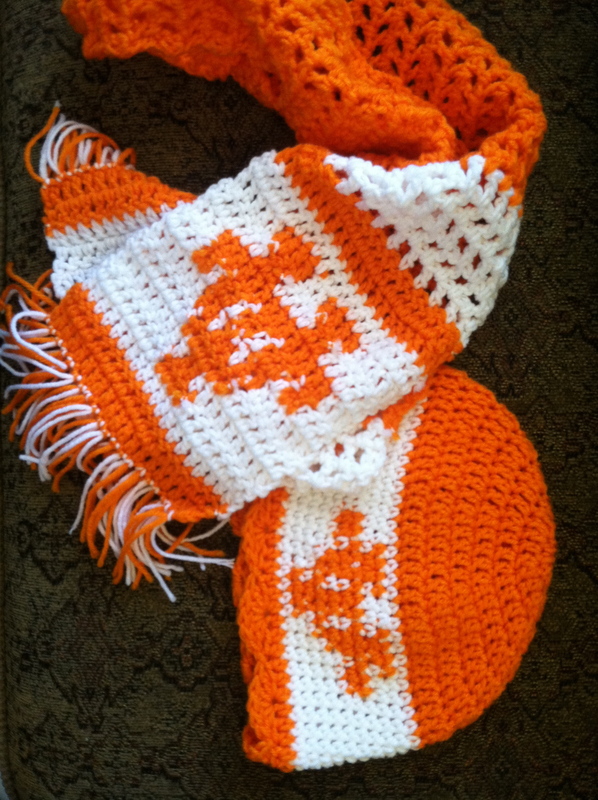 Sure there are “mile a minute” blankets, and “hour long” scarf patterns, and several projects that brag about the limited time to complete them. But if you are ever in a situation where you are asked to make just 10 of these, it’s going to take up the better part of two days, and maybe even a couple of weeks depending on your schedule. A couple of months ago, I started working with a dear friend making her these cute little woodland animals. She purchases them from me at the absolute lowest price possible and adds them to similarly themed products from other artisans. She then sells these collections at a marked-up price for a profit. Rabbit and Fox box. Absolutely adorable stuff, definitely worth your attention! I do not offer these patterns for sale, and I do not allow the animals to be purchased from me. They are exclusives! So, I’ve got to work up about 12 of these tiny creatures, owls this time, and I want to do it as fast as I can (mostly so I don’t get bored and can keep moving forward). Each individual animal may take me an hour, maybe two to complete from start to finish. While you might expect me to spend an entire week working on these (the math comes out to approximately 30 hours of work), I can usually finish them in 3 days, or about 10 hours. There is one secret and only one for how I manage this magic: assembly line! If I were making one owl at a time I would be repeating steps 3-8. Six steps is a lot more time consuming than three (by more than twice). Especially when you take into account the putting down of one color in order to pick up the next color, and locating the yarn end, and finding the needle, and re-threading every single color for the embroidery, and all of those tiny in between actions. By creating each part at a time, I can better utilize my time and complete this bulk order at a faster pace. I can embroider all of the eyes at the same time, thus eliminating the painful re-threading of the needle. I can establish a rhythm for making all of the wings and shave even more time off of my creation process (I noticed, especially while I was making the wings, that each one took 3-4 seconds faster than the previous one). 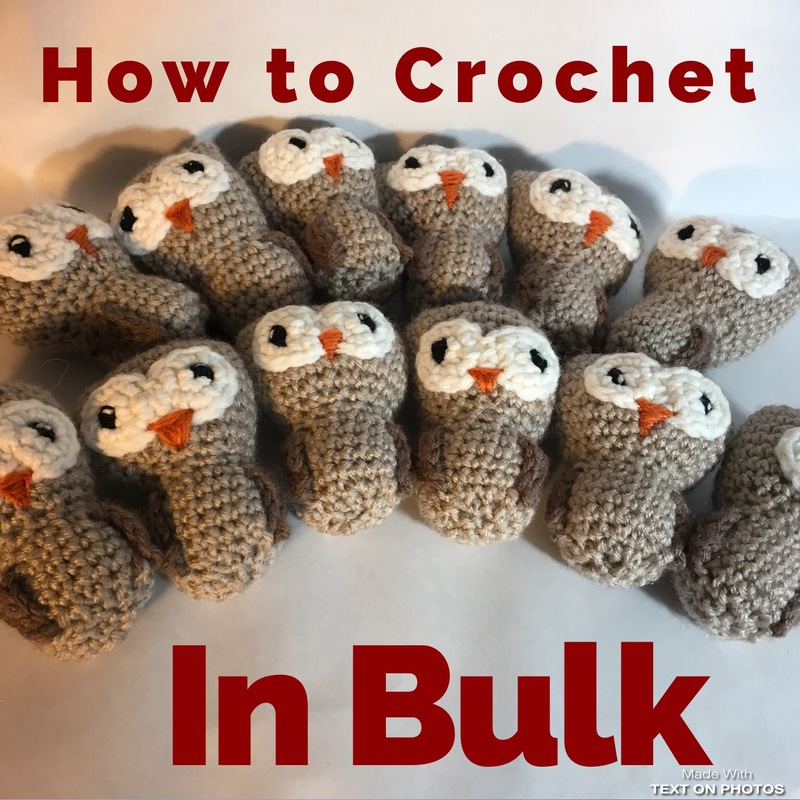 Tiny parts of creating one owl can be lessened or even eliminated altogether by using the assembly line process. It did take me a little bit longer than 8 hours to make these, because of distractions, and a badly wound skein of yarn that kept tangling, and having to stop and hit the “lap” button on my stop watch, and having to make a few extras to get accurate calculations. But, I think I’ve made my point! 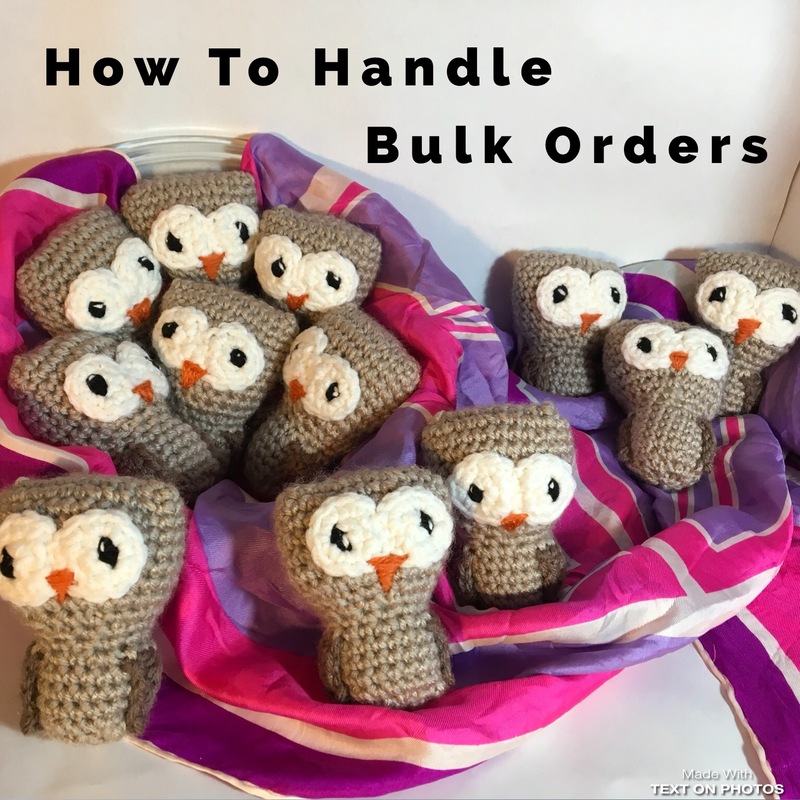 So, the next time you have someone ask for a whole bunch of one crochet item, don’t forget to “assembly line” it where you can. Your brain will thank you for it! 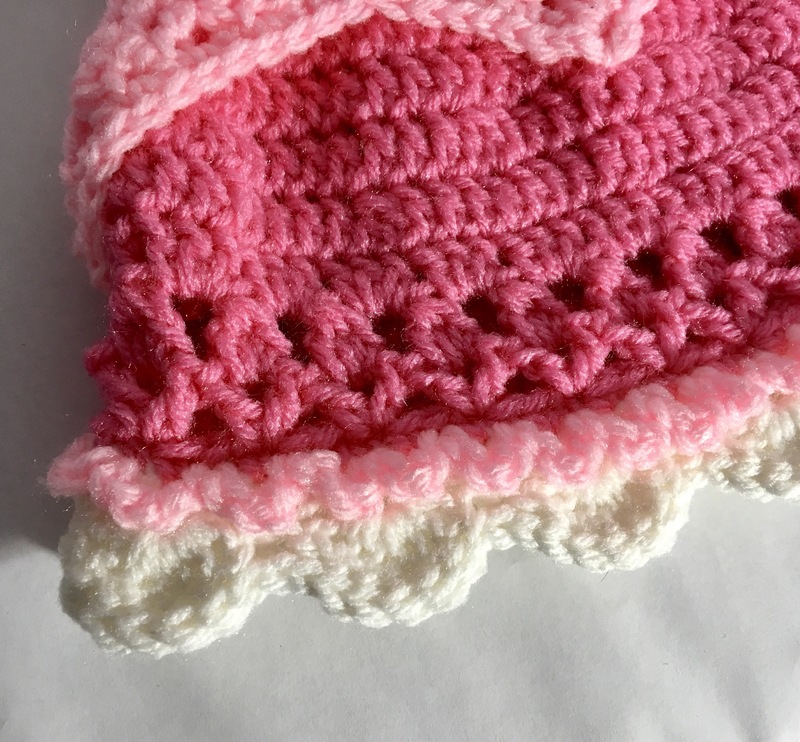 < FREE Crochet Pattern for a Messy Bun Hat Using YOUR Favorite Crochet Stitch!